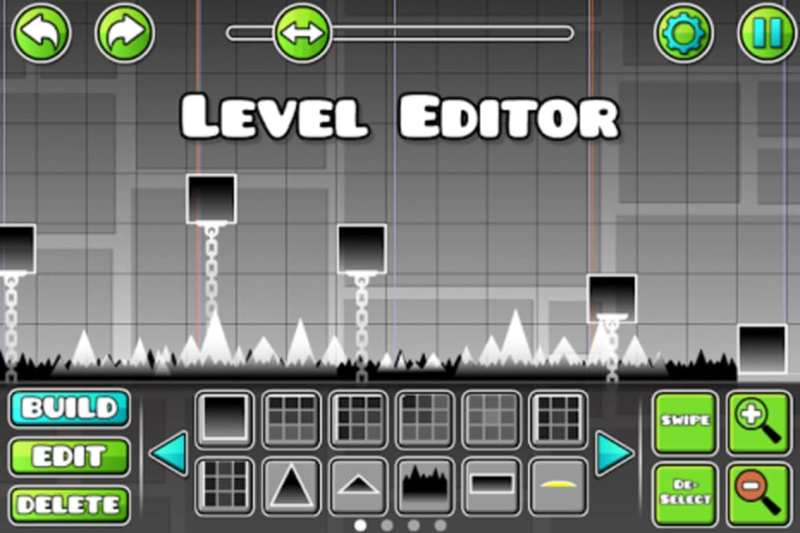 Levels can sometimes seem endless. 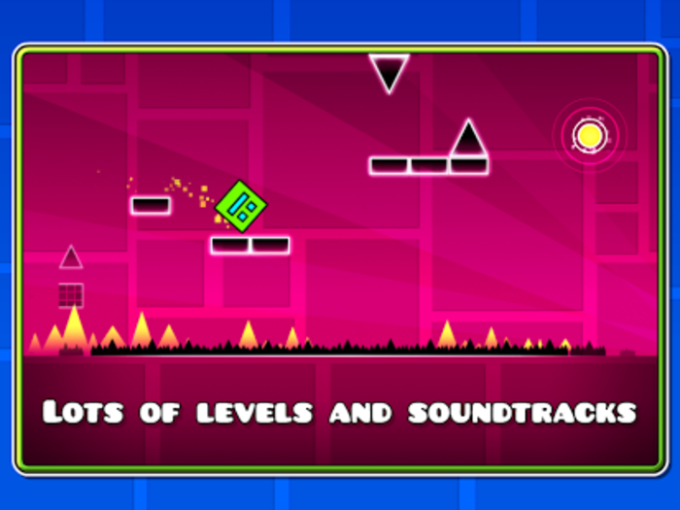 Using a one-touch system of control guide your customisable character through a maze of spikes and obstacles at intense speeds. 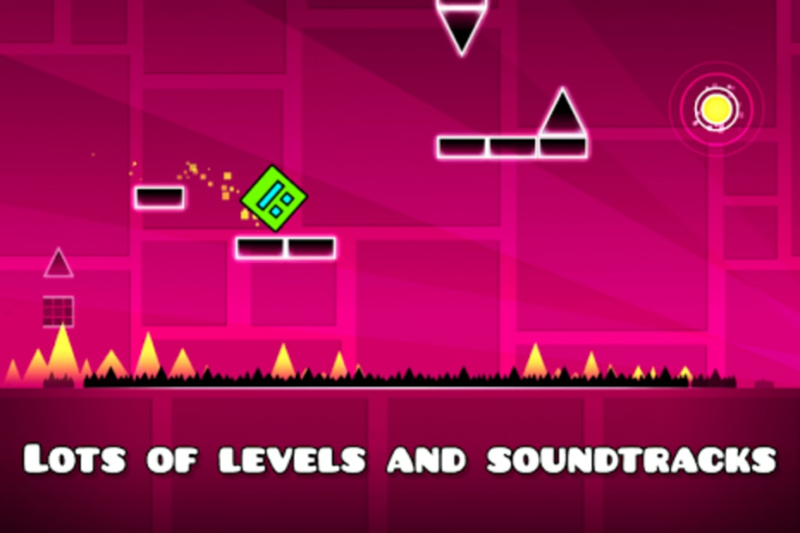 The beat of the music helps you to time your jumps and flips to perfection throughout the lofty challenge of reaching the level's end. 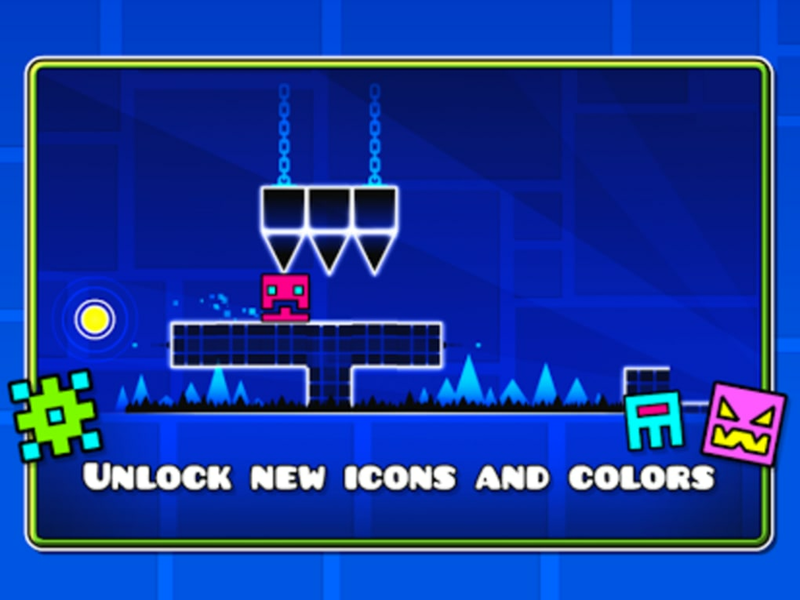 In Geometry Dash there is the option of a practise mode so it's entirely possible to hone your skills to unlock a whole list of achievements. 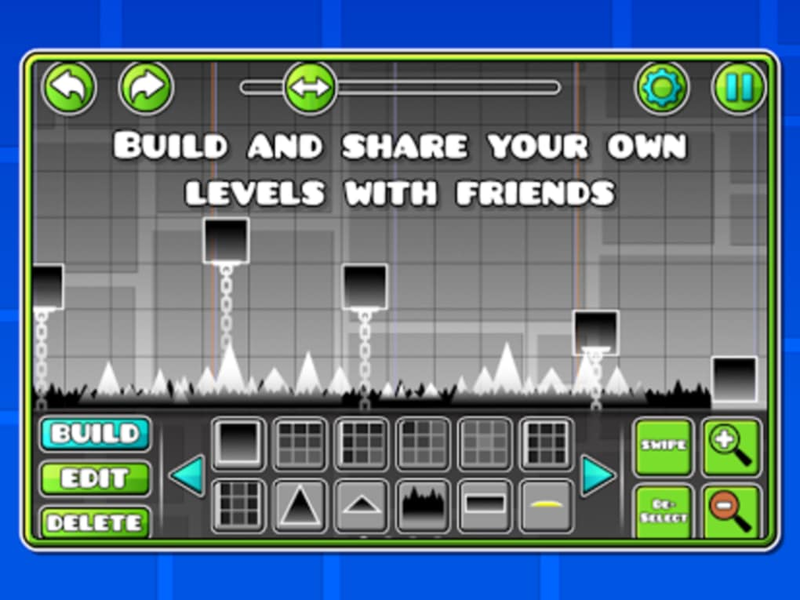 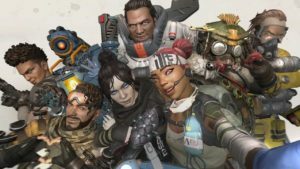 The game also allows players to design and build their very own custom levels which can be shared and played by other users. 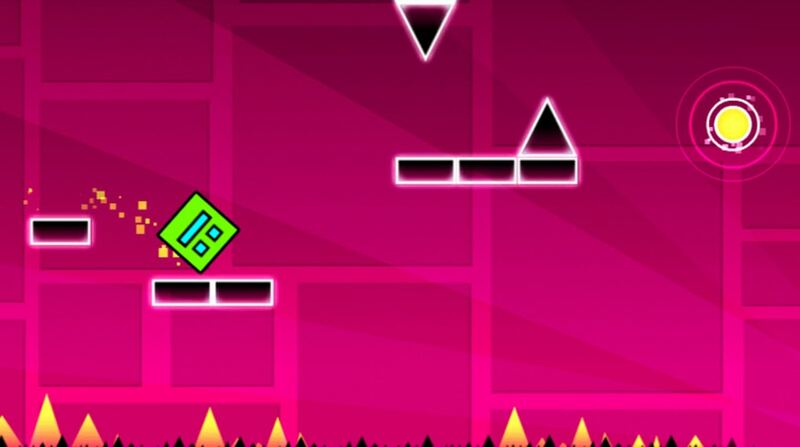 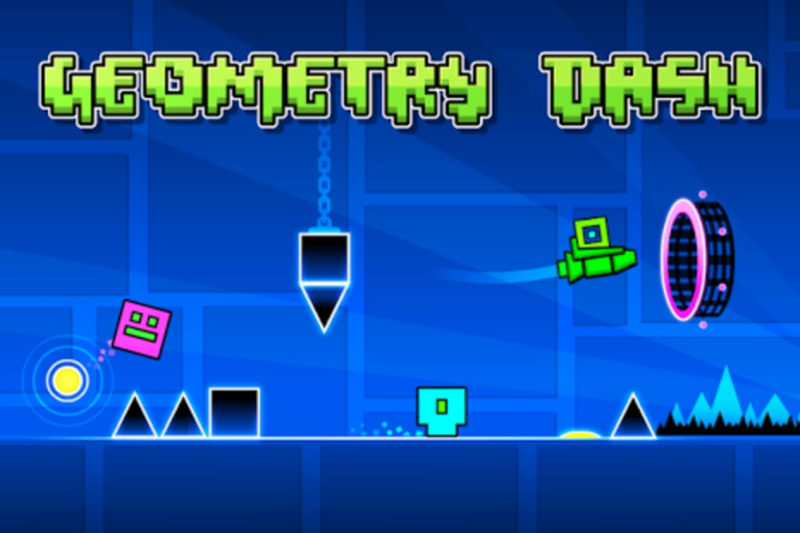 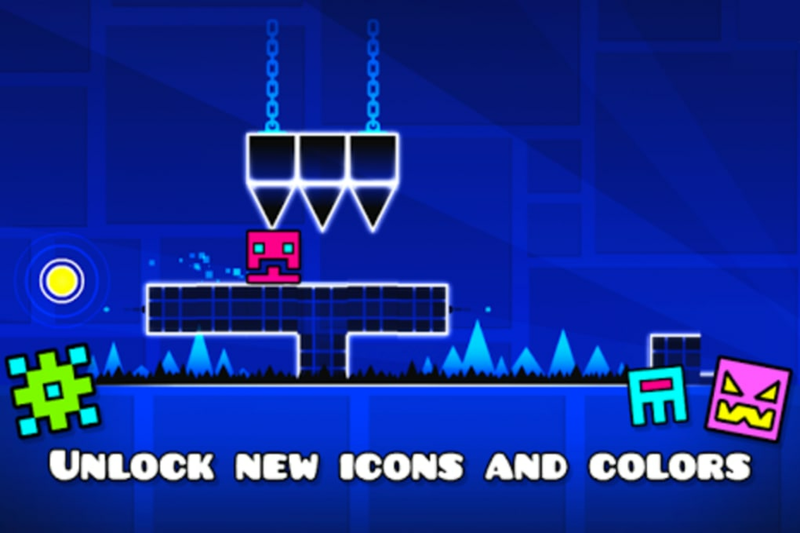 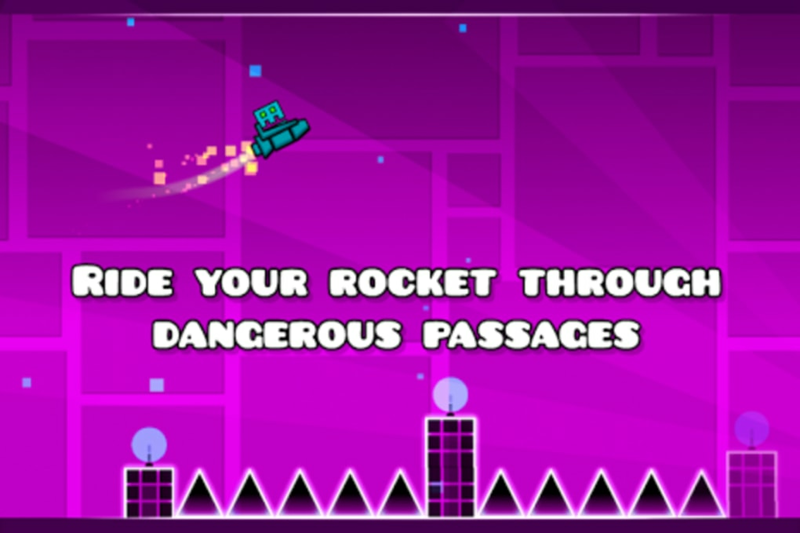 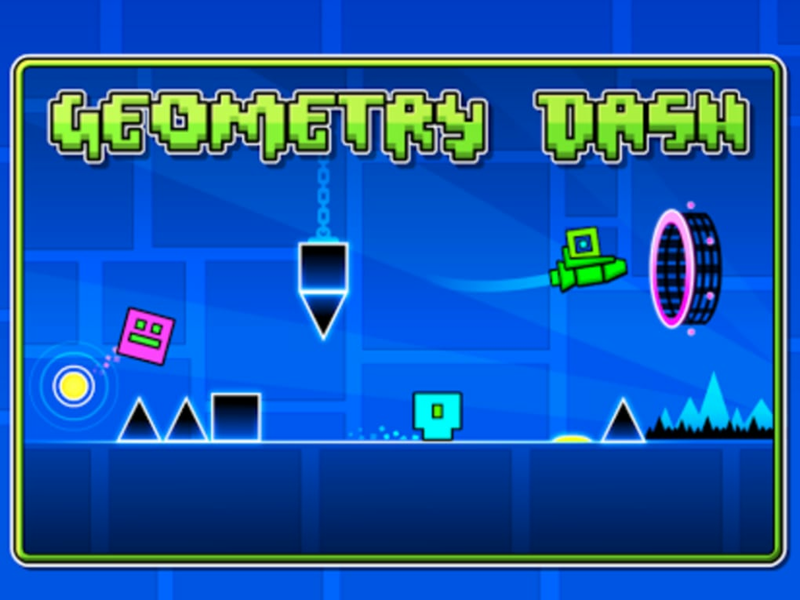 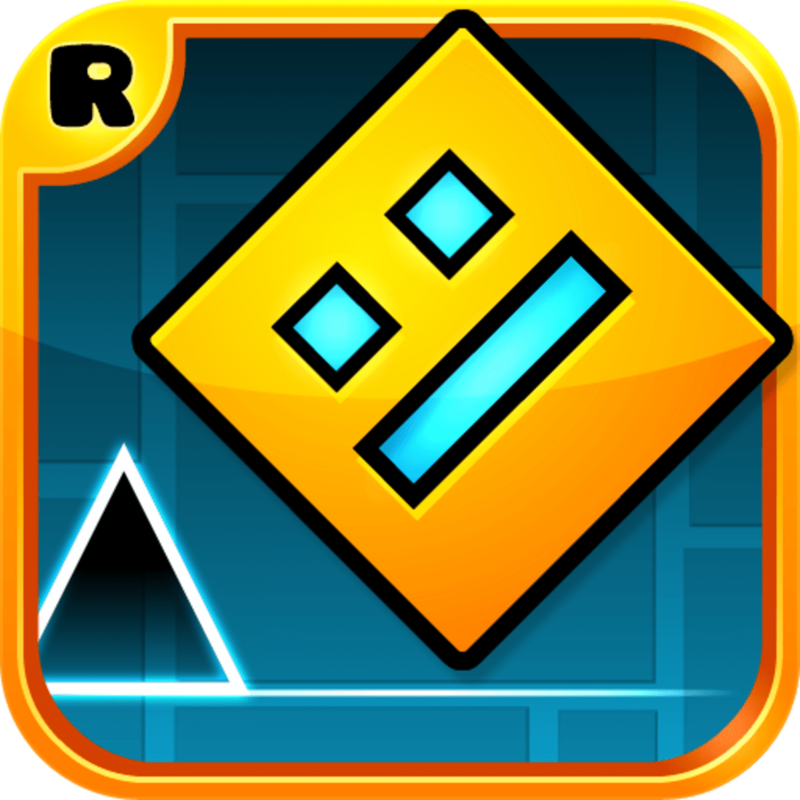 Geometry Dash employs various exciting soundtracks and high-quality graphics of vivid colours. 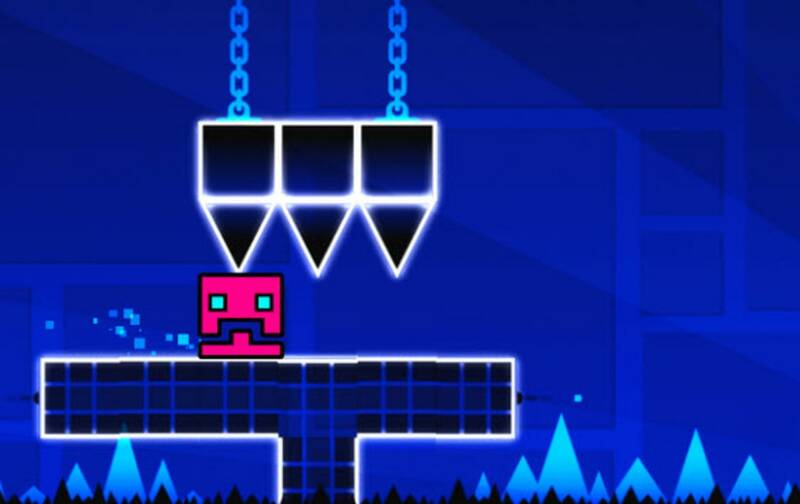 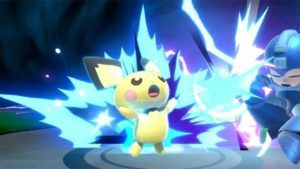 The intense challenge of the high-speed reactions required to beat each level results in major satisfaction when you finally reach 100% completion of a stage.